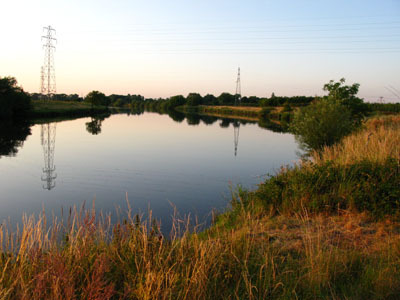 There are 20 pegs on this quite deep and steady stretch of the river, ideal for close in stick float fishing. Large Chub & Barbel are present along with Roach, Bream and Perch. This is a Members Only Water. A key is required. No Night Fishing. Closed Season 15th March to 15th June Inclusive. Under no circumstances must cars be taken downstream of the parking area. From Lowdham Roundabout take the A6097 over Gunthorpe Bridge for 3 1/4 miles to the new A46 raised roundabout and turn left onto the A46 signposted Newark. Continue along the A46 for 5.2 miles and take the left turn for East Stoke, at the end of the slip road turn right and pass the entrance to Eden hall Spa. At the roundabout turn right and continue for 1.7 miles passing through East Stoke until you reach a disused petrol station on the left. The entrance to the water is about 50 yards beyond the petrol station.